The Artificial Intelligent-Creative Director ßeta came out of McCann Millennials in Tokyo, Japan, which isn’t surprising that it would take millennials to dream up a machine to replace humans. The robot creative director was pitted against a human creative director, Mitsuru Kuramoto, to develop an advertising campaign for Clorets Mints. Apparently, Mitsuru's spot "narrowly" beat AI-CD ßeta (54% to 46%). Market and consumer research were fed into a database. The AI robot developed the creative brief and the creative elements that would go into a television campaign. I have to admit the process was fascinating and I was probably more intrigued by the novelty if the technology than the final creative itself. It took over a year to capture and process all the data-points, and test all the algorithms. It was said that it took ‘only minutes’ to produce the creative brief and campaign elements. See the two spots and determine for yourself. The creators are identified at the end of this article. Keep in mind these were developed for the Japan market. 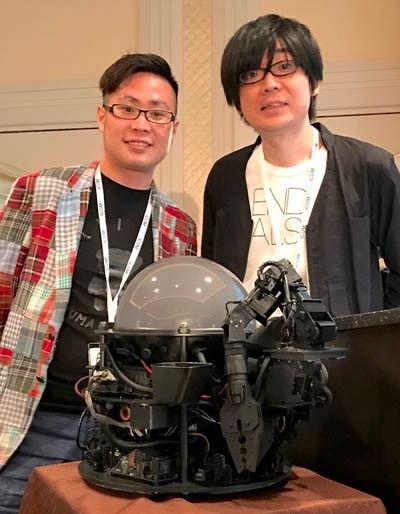 I asked the creators and project directors, Akihiro Orimoto and Ryosuke Yoshitomi, what is the next step in their AI development. “Machine learning,” was the answer. It seems they were able put a library into their digital creative director but it doesn’t quite have the “learning” brain... yet. It will be frightening when this AI-CD ßeta can actually learn for itself. Much of advertising is the engagement of emotion. Can a machine fake an emotion so real that humans will relate with it? I think that as long as humans can retain our unique emotional personality and not evolve to be more machine-like, there is hope that the rise of the machines won’t be to the level that humans will no longer be essential to life.